(RNS) — The Rev. Martin Luther King Jr. would have turned 90 on Jan. 15. What would he think of what we’ve done with his message of love and hope? As we get ready to celebrate King’s birthday with a national holiday, we often hear him referred to as a black leader, or a Baptist leader. But that description is, in many ways, a reflection of our increasingly polarized world, where we try to separate people by race and faith. To truly appreciate how King changed the world, it’s important to step back and see him as a spiritual leader whose message transcended the particularities of any one religion. I’ve tried to do this in my own way by looking at King’s commonalities with a contemporary, Anne Frank. 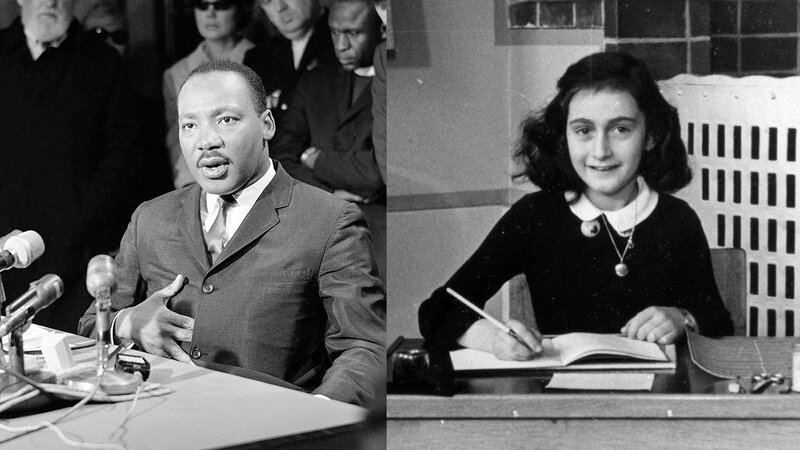 In a soon-to-be-published children’s book, “Martin & Anne: The Kindred Spirits of Dr. Martin Luther King, Jr. and Anne Frank,” I tell the parallel journeys of these two, born in the same year, 1929. It was the start of the Great Depression, and in the world they came to know, people were out of work, hungry and looking for someone to blame. As happens all too often when people are frightened, the blame was fixed on vulnerable minorities. In America, black people endured lynchings, official segregation and a near-constant undercurrent of terror. King was only 39 when he was killed in 1968, standing on a balcony at a hotel in Memphis, Tenn. In Europe, more than 6 million Jews would be murdered in the Holocaust. Among them: Anne, a 15-year-old who had dreamed of being a famous writer, only to die, sick and starved, in the Bergen-Belsen concentration camp in Germany.